All Seals Inc. carries a comprehensive inventory of mechanical seals for same-day shipment. Our safety stock program ensures that the seal you need is available when you need it. 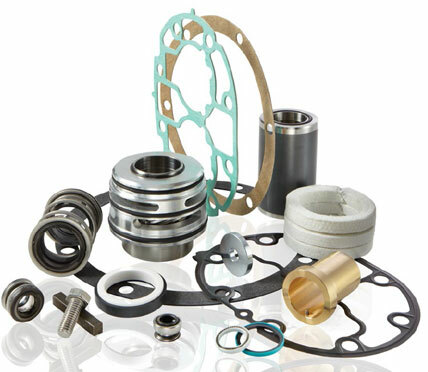 We specialize in hard-to-find seals and demanding applications. Our extensive network of resources enables us to locate the right manufacturer and part, every time. In the event a custom seal is required our engineers will work with you to develop a solution. Contact us for additional assistance. Larger component and cartridge seals may be more economical to repair or offer shorter lead times than new mechanical seal replacements. Our professional seals repair services can restore seal to as-new condition in as little as 5 working days. Contact us for details. All manufacturer's names, part numbers, and descriptions are used for reference purposes only. It is not implied that any part is a product of these manufacturers.